Dualshockers reports that version 6.09 of Skype has been hogging processing power, but the new build version 6.13 resolves the issue. Giuseppe Nelva at Dualshockers reports that Skype version 6.09 is responsible for slowing down gaming PCs over the last few months. Nelva reports that Skype version 6.09 had a severe incompatibility with Google Chrome set as the default browser. The incompatibility resulted in additional load on the CPU, cutting framerates and performance in video games. Fortunately, the answer seems to be manually upgrading to version 6.13 of Skype, but that's cold comfort for gamers who may have spent the last three months facing poor performance. 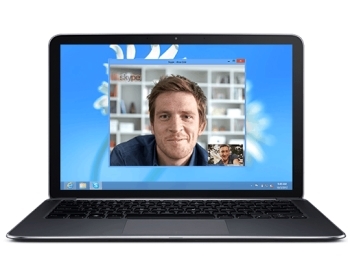 Skype version 6.13 was released January 22. Nelva demonstrated the difference in CPU load for versions 6.09 and 6.13 of Skype using benchmarking tests for Final Fantasy XIV: A Realm Reborn, Batman: Arkham Origins, and Unigine's Heaven benchmark. Version 6.13 scored almost four hundred and fifty points higher on the Final Fantasy XIV: A Realm Reborn benchmark. Unigine's Heaven benchmark showed a drop of 16.7 in maximum frames per second when Skype version 6.09 is running over version 6.13. The Batman: Arkham Origins benchmark showed an average drop of 3 frames per second. Have you experienced a similar slowdown because of this version of Skype? I haven't been able to test Nelva's report on my PC, but the screenshots he provides are pretty convincing. If you have been experiencing stutters or instability in the last few months, and you run Skype and Google Chrome, it sounds like updating Skype might be a good call.